Alberto Contador will not finish the 2016 Tour de France after abandoning on stage nine of the grand tour on Sunday. The two-time champion had been part of an early break on the route from Vielha Val d'Aran to Andorre Arcalis, however as the speed increased the Spaniard was unable to keep pace. 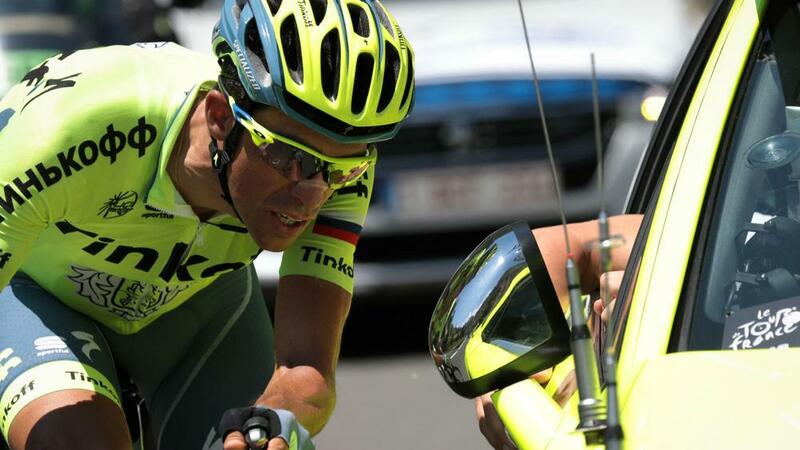 With 100 kilometres of the stage remaining the 33-year-old was seen getting into the Tinkoff car, having dropped back on a number of occasions to discuss his fitness. "Alberto had a bit of fever this morning. He told us at the beginning of the race that he wasn't feeling super and it's obvious," Tinkoff directeur sportif Sean Yates told French TV mid-race from the team car. Contador's race began badly as he suffered cuts and bruises on the opening stage, crashing after his front wheel slipped out when going across a raised kerb that divided the road. Road rash from his knee to his shoulder on his right side was the main injury he picked up, but he suffered no major muscle damage.